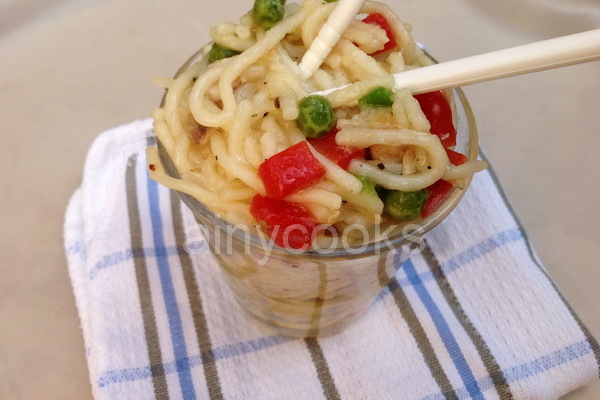 This recipe is a bit different from other Chowmein recipes and I am sure you will like tis and make it today for your kids. Boil noodles. and set aside. In a pan add oil and onion, fry till light brown then add garlic minced and stir for few seconds. Add chicken and fry till tender. Now add vegetables and all spices. 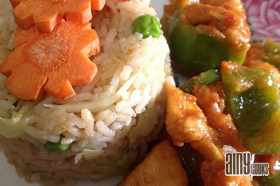 Dissolve corn flour in chicken stock and add in chicken and vegetables. 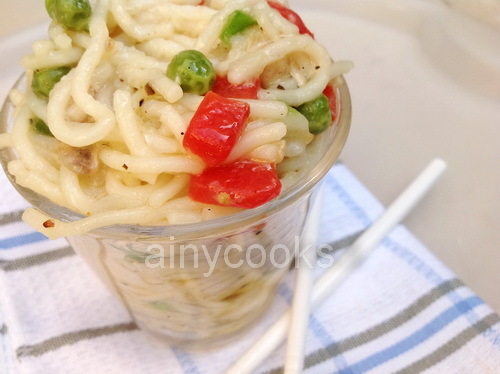 Stir for few minutes and then add noodles.